Style 2490 in Black. 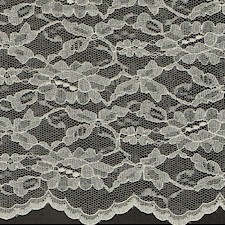 Traditional Lace with Scallop. Terrific Value. 60" wide. 100% Polyester. Available in White/Black/Ivory. 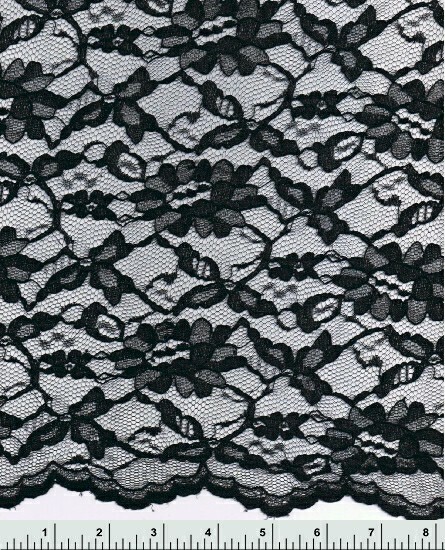 Minimum Order 25 Yards. Made in USA.